The new launch trailer for the upcoming DLC for Destiny titled The Taken King has been released and it looks glorious. Said to be the biggest expansion to date for Bungie's hit first person online shooter, fans could only sit back and watch the greatness unfold. To say that the hype is real for this expansion would honestly be an understatement. The trailer which is under 2 minutes long highlights everything players can expect to enjoy in The Taken King. Bungie is planning a lot of changes for Destiny with this new DLC. 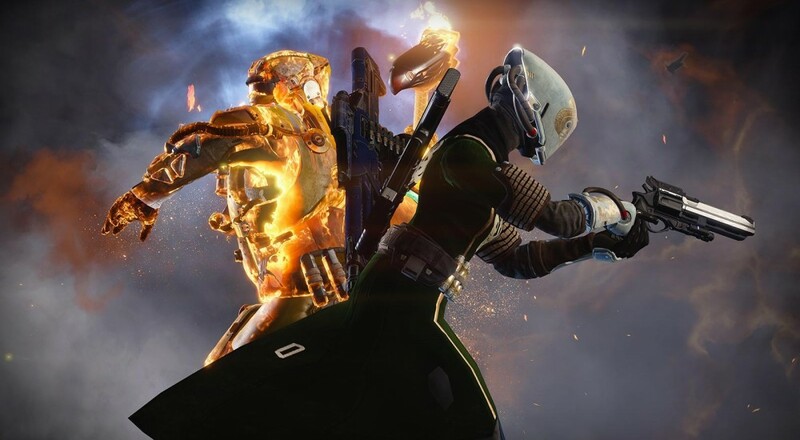 It will include a stronger narrative with better dialogue thanks to the audition of Nolan North, new subclasses, a revamped leveling system, and even a brand new quest system and that’s only the tip of the iceberg. We also get a glimpse of Saturn, where Oryx’s is located. Which will introduce us to the new playable area The Dreadnaught. Even though all that sounds amazing I’m sure that the true Destiny fans are more excited about the increased vault space and the ton of new gear and weapons to find. I mean the new bow and hammer are just a few of the jaw dropping items I’m looking forward to testing. Even though the mood of the trailer was set on the revamped narrative you can still see that the core point of playing Destiny is still to shoot aliens with your buddies. Destiny The Taken King is set to release on September 15th for all platforms. Page created in 0.2636 seconds.